If you're worried about parking mode lowing the life of your vehicle's battery, you could get a dash cam battery system. I have a 2-channel F770 and am probably going to get a 2nd gen Cellink B for it. You need to have the auto dimming mirror in order to use this. Just slip in the wires into the #1 and #4 slot on the pin behind the rear view mirror. Installation took less than a few minutes and it powers on/off with the truck. Is the Ford warranty voided if you wire your dash cam into the fuse box? In general, modifications and upgrades are only allowed to void the warranty to the extent that damage is caused by the modification. Example: if your power 3rd row stops folding up and the repair would be covered by warranty, they can't void it out due to your fuse box tap unless it directly caused the problem. However, if you tapped the fuse for the power 3rd row seats, and then the motor burns out because you screwed up royally, they can void that portion of the warranty. I asked the accessories person at my Ford dealer the same question and his answer was consistent with yours. Thanks. Now I have to decide between a Thinkware 770 dual camera setup and the Blackvue 650S-2CH. My local Best Buy have a Blackvue 650S-2CH bundled with a 16GB card and a Mobile Concepts Dashcam Power Management Protection device (PMP-U) for $430 Canadian ($320 US). They also have some Thinkware 750's but no 770's. In fact, I can't seem to find any 770's in Canada. None of the sites that the Thinkware site suggests on its "Where to buy (in Canada)" page carry the 770. From what I can tell, the Thinkware 770's record in 1080p in both front and rear whereas the Blackview is only 720p in rear. 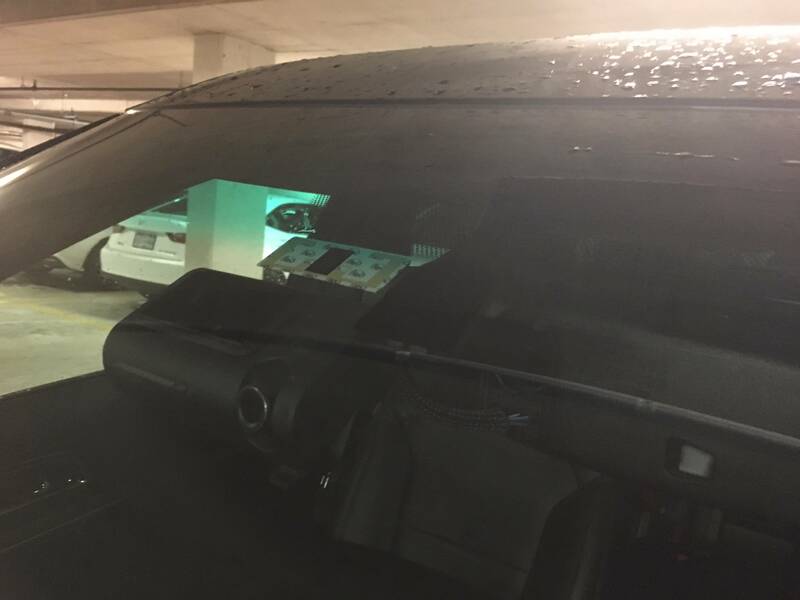 The cabling also seems tidier on the Thinkware and I believe I can mount it directly underneath the rear-view mirror housing on my 2017 Explorer Platinum. I'm not sure if I can mount the Blackvue here. Does anyone have any thoughts about this? Where did the OP install his 750 front cam? I don't see any pictures of it. In all likelyhood, I've invalidated the warranty on my rain sensing wipers for my Sport. Amazon carries both the Thinkware 770 and the Blackvue 650S-2CH. The power management backup on the Blackvue is a good investment if you don't drive your car daily and keep parking mode on. I've got the F770 on my Honda CRZ. It definitely records 1080P front and back. The video quality is the same in both cameras, as far as I can tell. The packaging is pretty compact on the Thinkware cameras, but I'm not sure how it compares to the Blackvue.The wiring is very neat after install - there's a cover that installs over the plugs, and you can tuck everything out of the way with the clips that are included with the kit. I've got mine mounted up almost flush with the headliner in the CRZ, so that the lens is just peeking out below the blue tinted AS1 line. I keep mine a touch right of center, so that interference with the mirror is not a problem. With this, there's not really any negative side effects to the video quality, but the lane departure warning is a little weaker towards the left side and more sensitive to the left. I have a contact with Thinkware in Vancouver. The F770s are completely out of stock due to high demand, mostly sucked up in the US. It'll change eventually, but the Amazon Canada prices are inflated due to low stock and opportunists. I have both a F770 set in my car and a F750 set in my wife's car. The F770 is definitely nicer looking in a more compact container and it's all black, with improved wire management so you can completely hide it. The F750, you get one of the wires sticking out a little, and the camera bit is silver in color which stands out. Both models are identical -- same cameras, same tech. But the F770 has newer firmware that introduces timelapse mode, which is nice, and the gimmicky night vision mode which is junk. People have applied the F770 firmware on the F750 and gained all the new features. Some people prefer a hidden look like I do (F770), and others want theirs to be easily noticeable (F750). Think of the F770 as a subtle version tweak of the F750. You won't go wrong with either. And a good time to buy these is during Black Friday sales. You can score an entire front/rear/hardware set for about $400 CDN. Thanks for all of the info. Where did you attach the front camera in your 2017 Explorer Sport? To the windshield or to the underside of the compartment behind the rear-view mirror? The lense is on the far left of the Thinkware, and about an inch to the right from the center mirror. 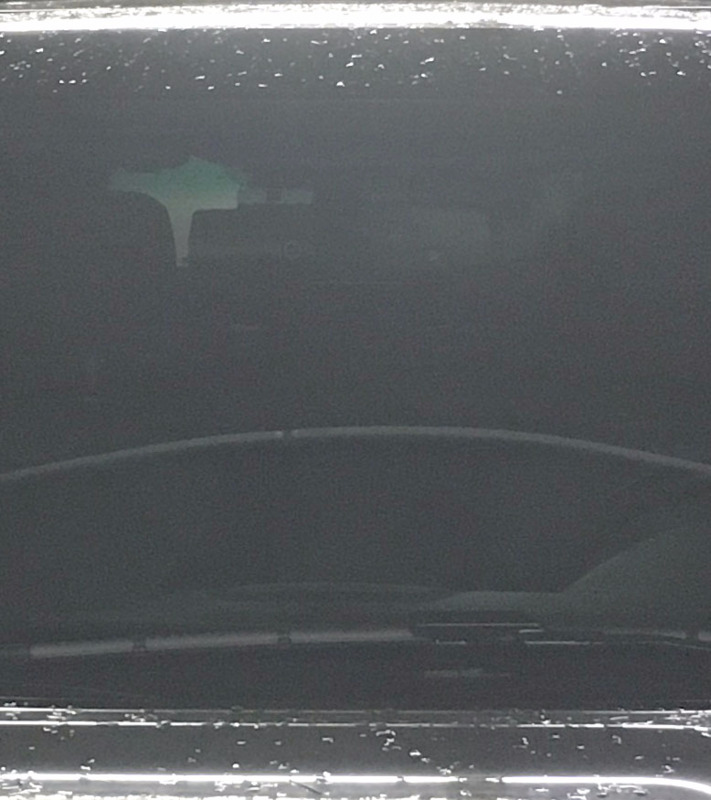 In this position, it is invisible from my driving position, and the mirror completely obscures it. If you want to perfectly center it, you'd have to place it just below the mirror stem, but then it becomes slightly visible. So it's tradeoffs. I'm tall, so I wanted it more hidden. Definitely difficult to spot? Granted, it's in a darker underground space and I had to crank up the brightness levels just to see it. We don't have rain sense wipers on the Sport, it was never an option. That's why the wire is there unused. I used that wire after you posted your install but I never thought about warranty issues. They would have to show a direct correlation between the use of that power tap and any warranty issue. No issues with the law and installing dash cams? Some states here prohibit them. Thanks kmarnes for the detailed steps with pics. I just installed my rear camera and you likely saved me a lot of time and surely a lot of frustration! Just wanted to add my solution for feeding the wire through the rubber tubing in the rear hatch: I took a length of stiff plastic tubing, just big enough to fit the connector width, and fed that through the rubber first. Then used it as a conduit to feed the camera wire and pulled the conduit out once the wire was fed through. After trying to fish the wire through without any success and a fair amount of cursing, this trick took 2 minutes. Sorry, but I didn’t think to take a picture while I was doing this. Just joined to say thanks for the hints on where to get power for a dash cam. I tapped wires 1 and 4 for my auto dimming mirror and it works great. Couldn't get the SimpleUSB adapter as neither Amazon US or Canada listed it for sale any longer, I went with this one instead. Has way more length to the bare wire side that I was able to trim down. 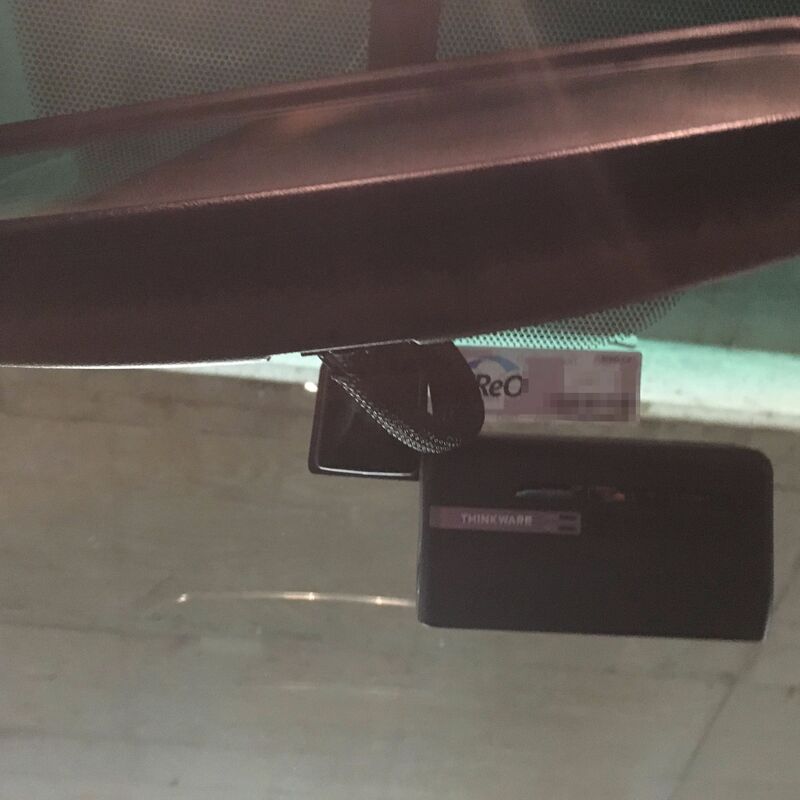 I mounted my Ojocam mini806 behind the mirror, the only thing I can see when I'm in the driver seat is the USB cable going into the top of the mount. Need to clean up the wires a bit better than they are now, but it's mostly invisible from both the inside and out. Welcome to the Forum Dan from the 'Peg'. Thanks for the tear down instructions on the back, I've got a 3 way dome light I want to add to my rear hatch and I wasn't sure about pulling all that trim off. Thanks for the write-up OP. This really came in handy for installing the rear camera. I did not end up splicing into the wires in the A-pillar. I used a fuse tap to connect to the fuse box. @kmarnes, thanks for the picture of the wires but I think it needs one correction, the blue and red wire in the back of that harness is constant. That other wire does not appear to have power, at least not with the engine off. But you are right, its a lot easier taping into the wires at the A-pillar than trying to deal with the fuse box, I soldered them on.